Noble Chef Hospitality of Madison, Wisconsin has signed a lease with the Laborers’ International Union of North America (LiUNA) to bring their flagship brand, Rare Steakhouse, to Washington, DC. Located just blocks from the White House in the recently expanded and historic LiUNA building at 1595 I Street, NW, the 9,500-square foot space that will open in September 2017, will feature two dining environments: a 163-seat upscale tavern situated on the first floor and a 174-seat dining room on the second floor. 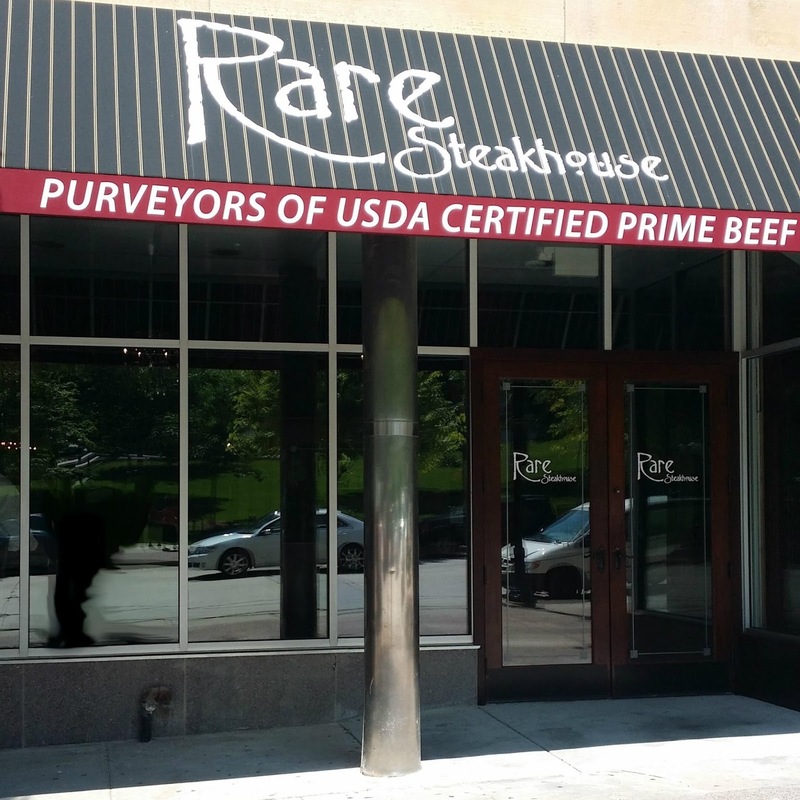 Rare Steakhouse will also operate and provide catering for the new private event space on the 9th Floor of the building that features views of Lafayette Square and the White House. Rare Steakhouse is a one-of-a-kind dining concept that brings together the best qualities of world-class dining venues with USDA Prime, dry-aged steaks, amazing wines and impeccable service. 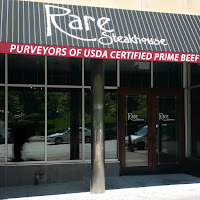 As it does with its steakhouses in Wisconsin, Rare will continue to source its meats from a Chicago-based, family-owned company that has been in business for more than 50 years. Steaks will be seared in a custom-built 1,800-degree Montague infrared broiler. Select cuts of steak on the menu include: 22oz Bone-In Ribeye; 24oz Porterhouse; 24oz Tomahawk Chop; 18oz Jack’s Kansas City Strip and the 28oz Double Bone-In Filet/Signature Cut. Washingtonians will also enjoy many Wisconsin-sourced specialty items on the menu including Strauss Family Farms’ free-range veal and grass-fed beef; cheeses from the 100-year-old Carr Valley Cheese Company; world famous Nueske’s smoked bacon from Wittenberg, Wisconsin and sodas from Sprecher Brewing, made in Wisconsin with local honey. Rare Steakhouse will also offer an extensive wine list highlighting all major wine-growing regions such as California, Italy, Argentina, Chile and France. Their cellar will feature over 1,000 wines by the bottle and more than 30 by the glass. Rare Steakhouse will continue its practice of having Certified Sommeliers on staff and intends to continue its custom of featuring vertical selections of California Cabernets such as Far Niente, Groth and Heitz. In addition to the two-story street-level restaurant, Rare Steakhouse will also coordinate and cater the new private event space that LiUNA included in their renovations. From intimate dinners for 12 to large receptions and sit down dinners for 300, Rare Steakhouse will bring restaurant-quality meals to private events in a space with an outdoor terrace that has views of Lafayette Square and the White House. “We want Rare Steakhouse DC to exemplify that iconic steakhouse feel in the design and experience while at the same time pay homage to the history of the labor movement and those who have helped build America,” commented Michael Francis. Build out of the restaurant is expected to begin in the Spring of 2017 with late Summer opening planned. 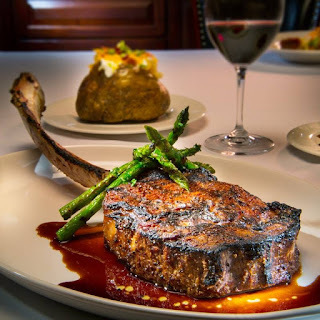 Noble Chef Hospitality's Rare Steakhouse, their flagship brand, is a one-of-a-kind dining concept that brings together the best qualities of world-class venues with USDA Prime, dry-aged steaks, amazing wines and remarkable service. With a classic setting, private dining rooms and space equipped with technology for meeting capabilities, Rare quickly became a premier dining destination in Milwaukee and Madison. Rare will open its third location in Washington, DC in September 2017. For more information, please visit Rare Steakhouse at www.raresteakandseafood.com. Noble Chef Hospitality is proud to be the restaurant group of popular Madison restaurants such as Ivory Room Piano Bar, Buck and Badger, Wisconsin Brewing Tap Haus, Rare Steakhouse - Milwaukee, Rare Steakhouse - Madison and Freiburg Gastropub. Noble Chef looks forward to opening Rare Steakhouse - DC this fall. For more information on Noble Chef, visit http://noblechefhospitality.com/. The half-million members of LIUNA - the Laborers’ International Union of North America - are on the forefront of the construction industry, a powerhouse of workers who are proud to build America. Learn more at www.liuna.org. SAINT (Studio for Architecture & Interiors) is the new partnership between architects Michael Francis, AIA, IIDA, (Queue Design Agency) and Francisco A. Beltran, AIA (Design Republica.) With offices in Washington, DC and Los Angeles, Francis and Beltran are building upon their extensive experience in hospitality and restaurant design to expand their reach into national and international markets. Learn more at www.studiosaint.com.